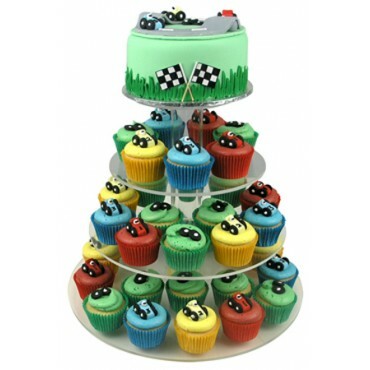 The Racing Car birthday cupcake cake comes with 40 hand-decorated cupcakes and a main cake topped with an icing sugar track, and 3 hand-crafted racing cars. This stunning race-track themed cupcake tower consists of a main cake topped with an icing sugar track, complete with 3 hand-crafted racing cars. 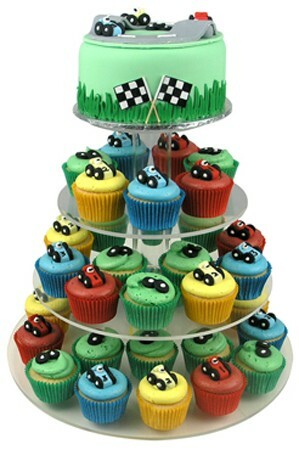 40 cupcakes (available in Vanilla or Chocolate flavour) come topped with a mix of red, blue, yellow and green boston cream icing and either a handmade racing car or a pair of wheels on top. 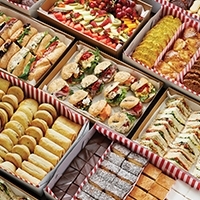 Please note: a $100 refundable deposit is required for the cake stand over & above the price listed below (conditions apply) payable in cash when you collect your cake.